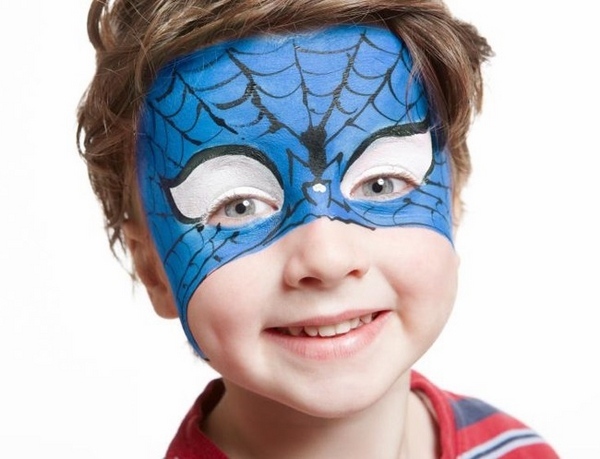 Easy face painting ideas for kids can help you add so much fun to any party. 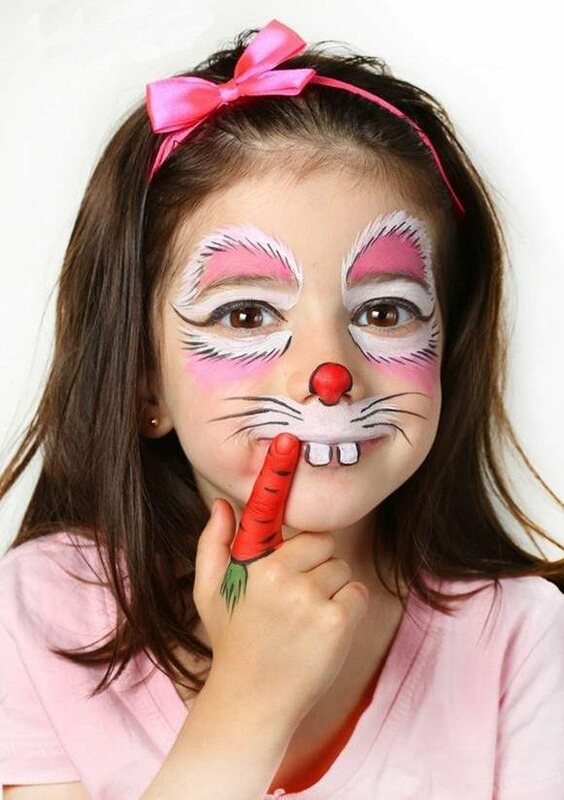 Kids love this fun art and whether you are organizing a Halloween or a birthday party –makeup is always a good idea. 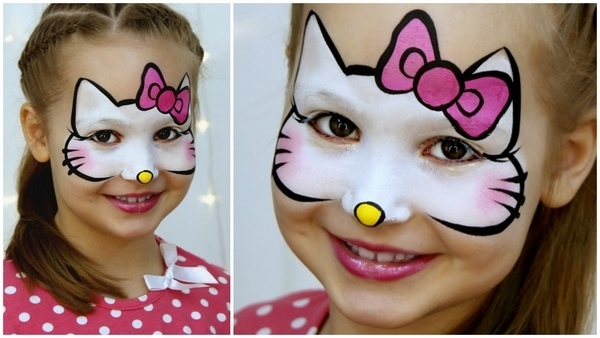 We have selected some easy face painting ideas for beginners and you can take advantage of them for the next party, moreover Halloween is just around the corner and if you are looking for cool Halloween make ups for kids – you’ll find some in the gallery below. 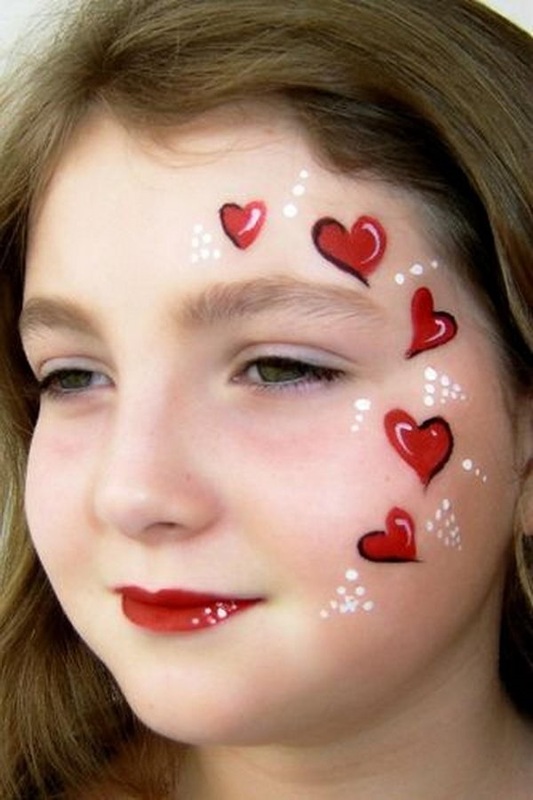 There are numerous easy face painting ideas for kids. 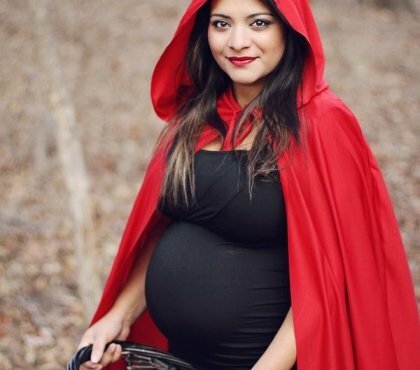 Most children enjoy it so much that they do not want any costume but if you have already an idea for the Halloween costumes of your children, some good makeup can be the final element in the child’s festive look. 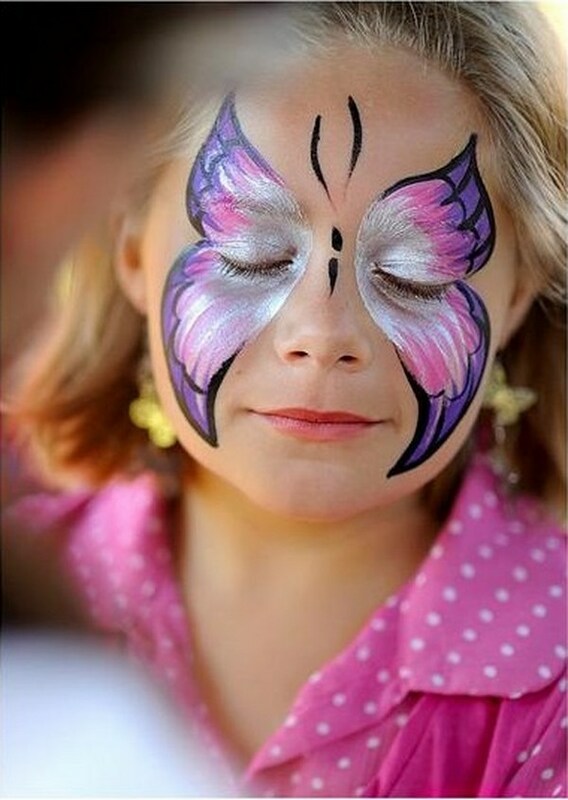 By definition face painting is a part of body art. The paints are water-based and contain only natural dyes which makes them absolutely harmless to the human body. 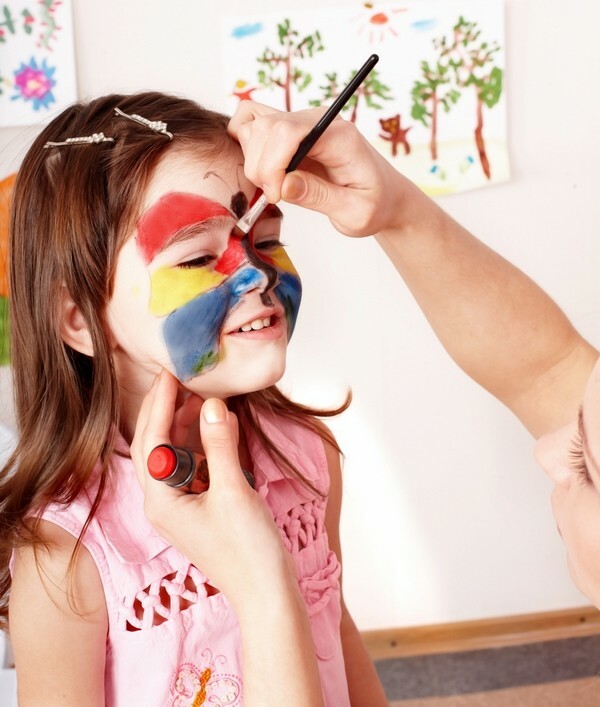 When you plan makeup for kids, you need to make sure you bought the proper body paint which is hypoallergenic and does not clog the pores on the skin. Water-based paint is flexible and will not crack which means that it will hold during the day. 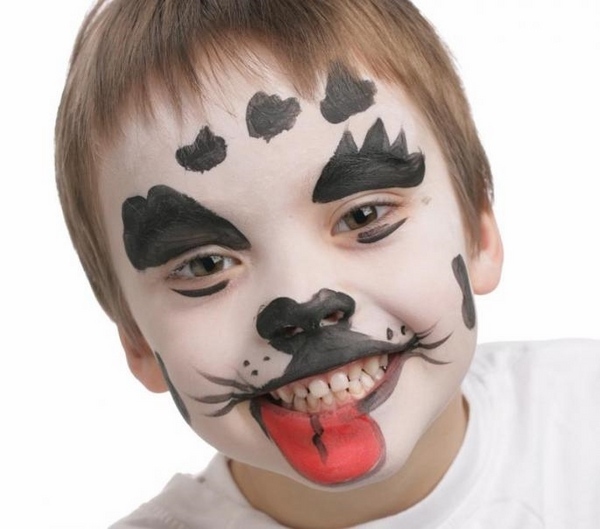 Face painting can be done with ordinary make up – eye shadow, blush, lipstick, cosmetic pigments – but it will not be as durable and it is certainly much better if you used special paint for body art which you can find in almost any craft store, costume shop, you can find them on-line or even in stationary shops. 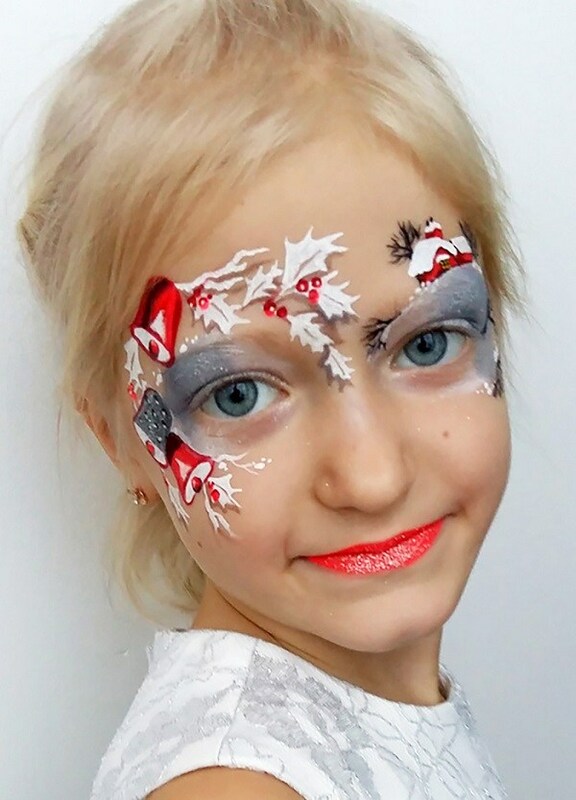 The price of the paint will vary as you can buy individual colors or sets which may come with additional sparkling elements like stars, rhinestones, etc. 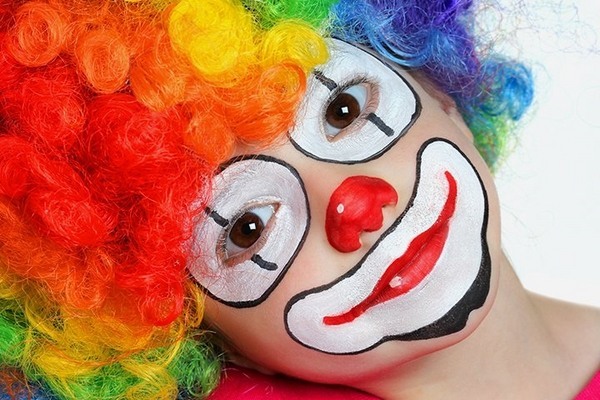 Easy face painting ideas for beginners do not require much skill. 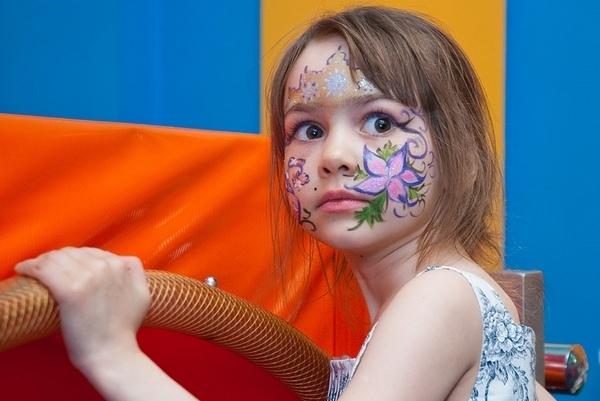 You can begin with drawing flowers, stars, a rainbow and then experiment with more complex themes or various cartoon characters. The best thing about it is that even if you get it wrong, the paint can be quickly washed off and you can start from the beginning. 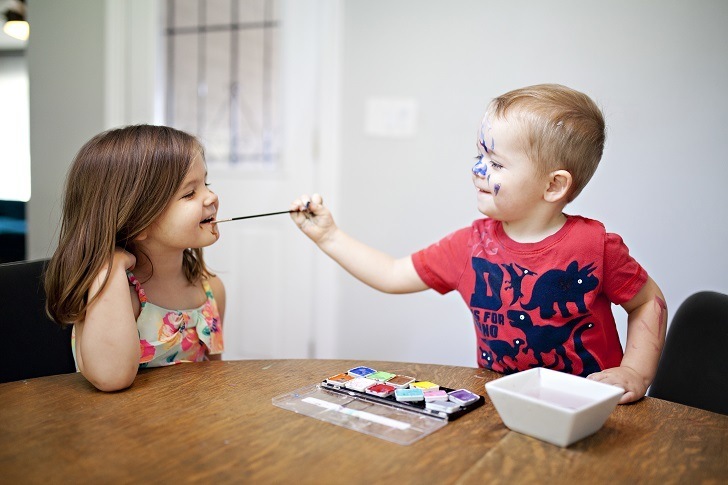 Here is a list of what you need if you plan a party for kids and you have already chosen this kind of painting fun. 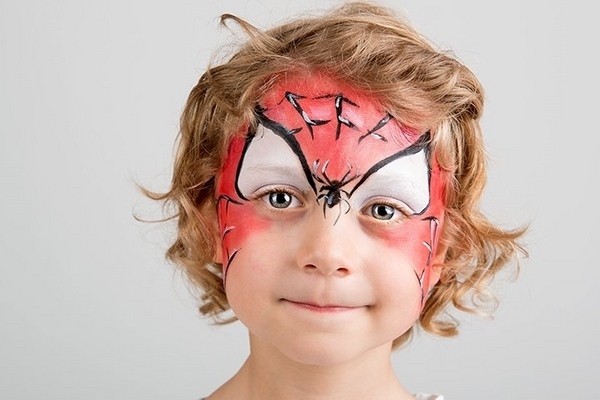 Children love face painting and most often they want to be the characters of their favorite cartoon films and fairy tales. 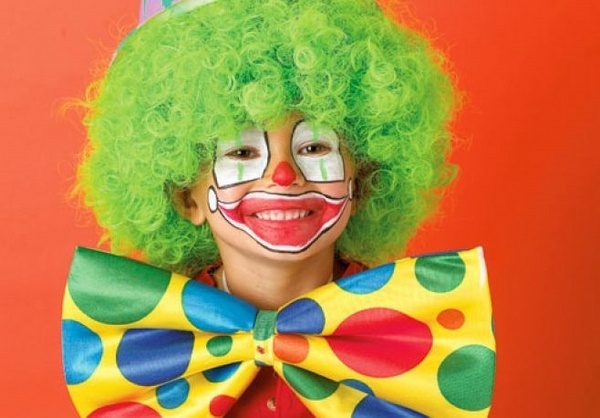 Of course, it will depend on the age of the child, but frightening and horror makeups are not appropriate for toddlers or small kids. 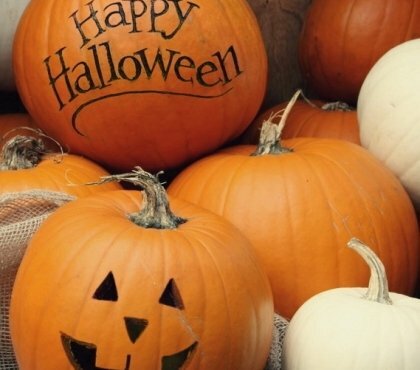 Little animals and birds, butterflies, flowers are a better idea for toddlers while with older children, especially for Halloween, you could try and paint a pirate or a vampire, but again – make sure that the child will get frightened. 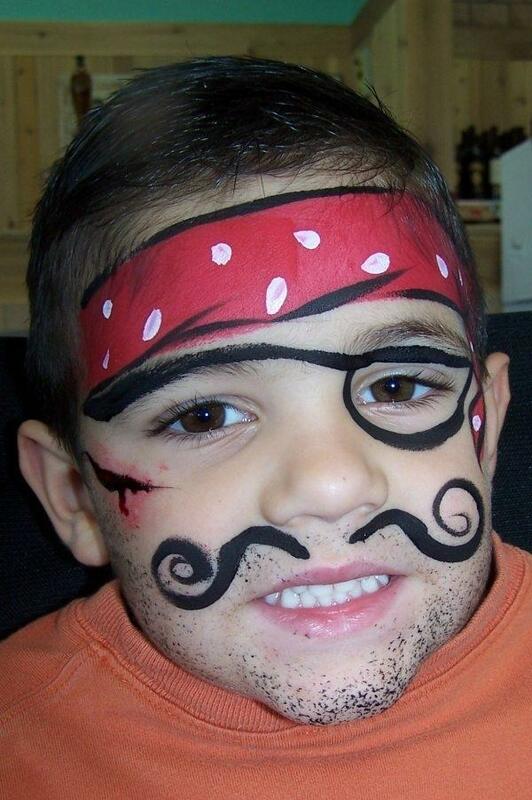 Most popular easy face painting ideas for kids which boys choose are Spiderman, Batman, Ninja Turtles, the Minions, Tiger, pirate, etc. 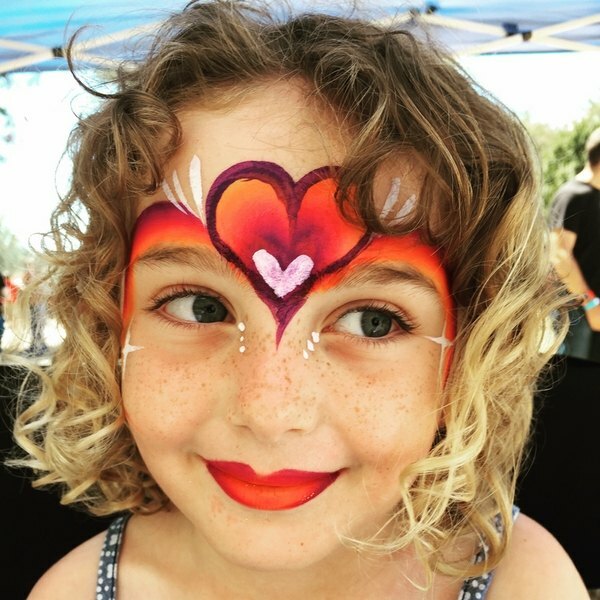 As much as boys enjoy it, it is the girls that are always enthusiastic and there are as many easy face painting ideas suitable for girls as there are for boys. 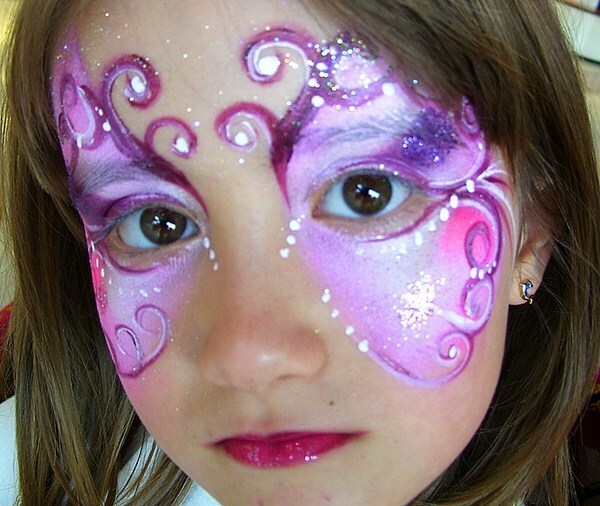 The designs for girls are so many and you can choose to go with the main party theme or paint a different pattern on every child’s face. 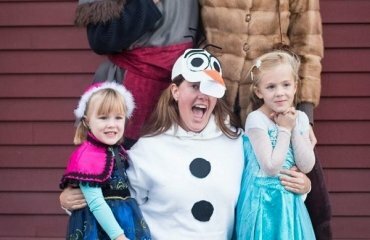 For example the Frozen theme is especially popular among little girls and they love Elsa. 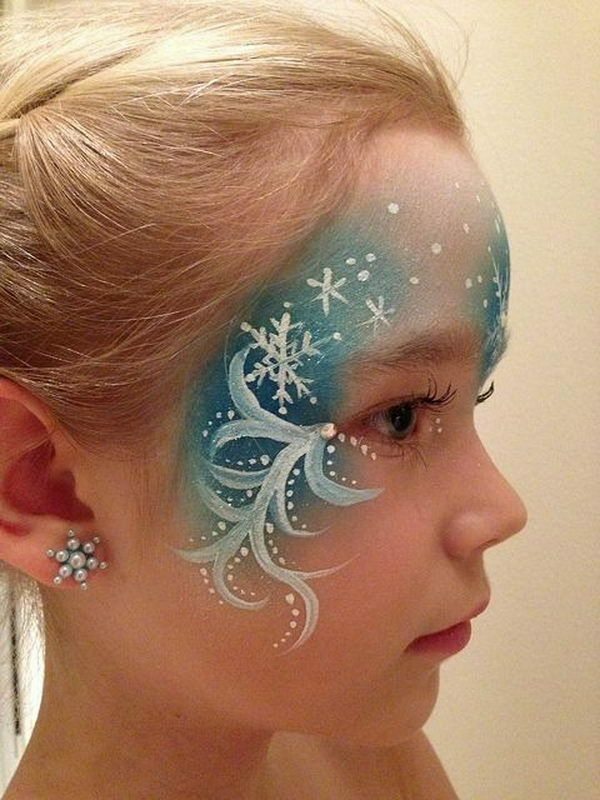 If this sounds too complex, try some other easy face painting ideas for kids – Snowflakes, Snow Queen, angel, butterflies, bees, birds, various hearts, stars, kitty, fox, butterflies, pandas, rainbow, sun, clouds, flowers, etc. 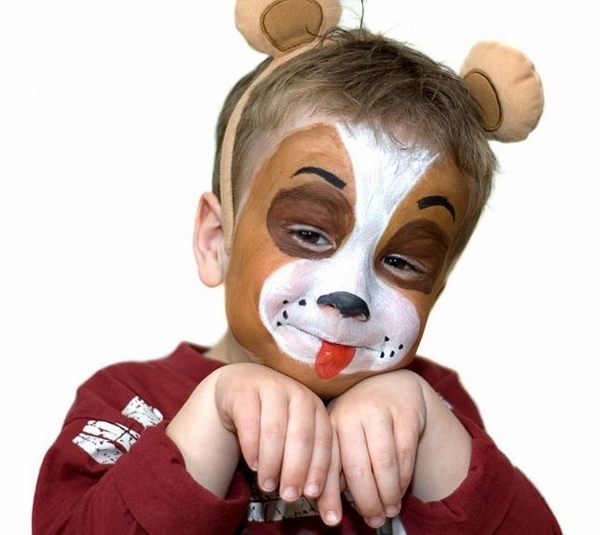 When it comes to easy face painting ideas for kids, tutorials are especially handy as not everyone is skilled at drawing. 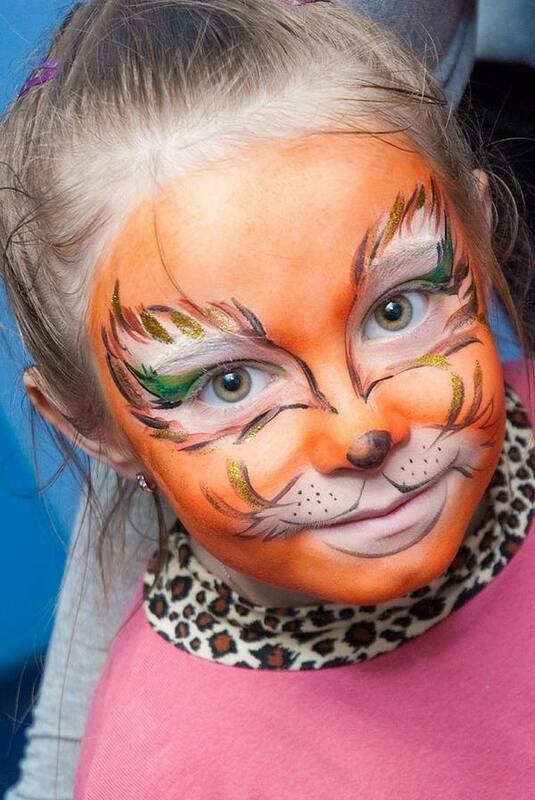 We will give you some useful advice how to paint a butterfly, how to paint a princess, a kitty, a tiger, flowers and in the gallery you will see many other inspiring face paint ideas. Flowers are the simplest thing you can draw and require techniques that you can handle easily. There is no need to cover the whole skin – the forehead and the cheeks would be your canvas. 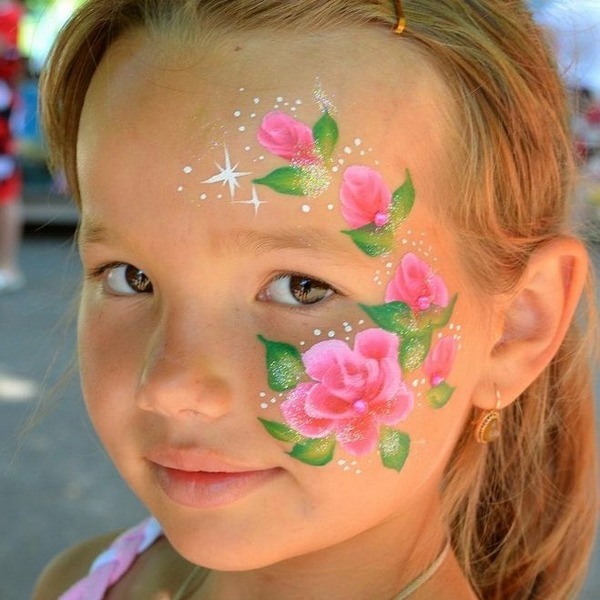 Flowers are very suitable for both girls and young ladies, and a real pleasure to paint. 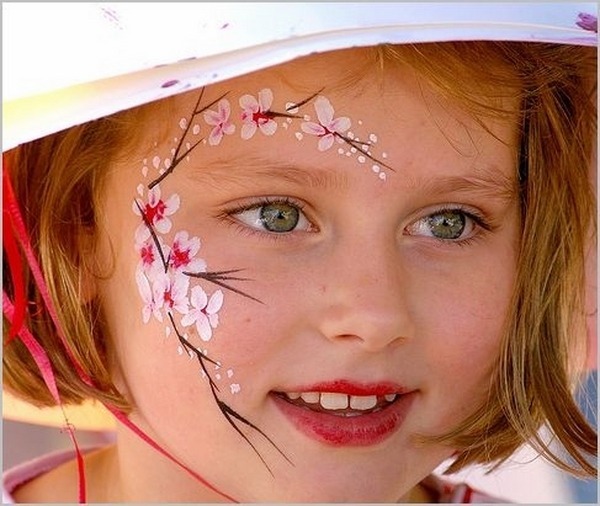 You will need face paints in different colors, depending on what flowers you want to paint – blue, yellow, pink, red, orange, gold and green for the leaves. Use a thin brush which will make drawing flowers easier. You can draw a few larger flowers and add small ones or opt for a lot of small flowers. Add the leaves and stems, some finishing touches, a bit of glitter and you are done in a matter of minutes. 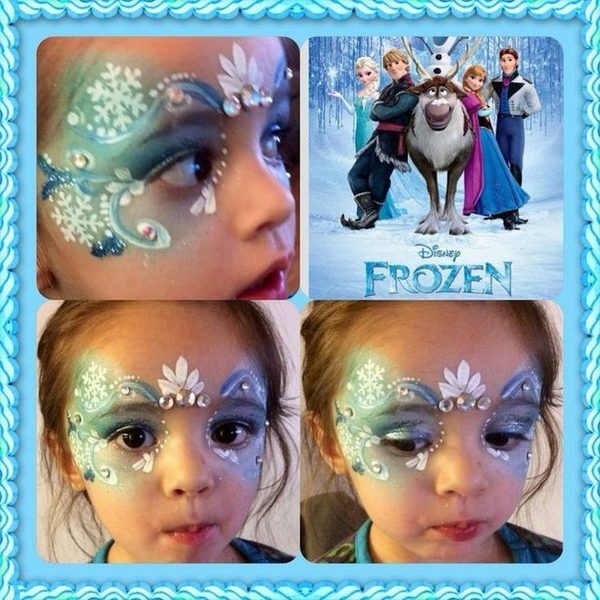 Easy face painting ideas – how to paint a princess? Every girl, at least once, should feel as a princess. 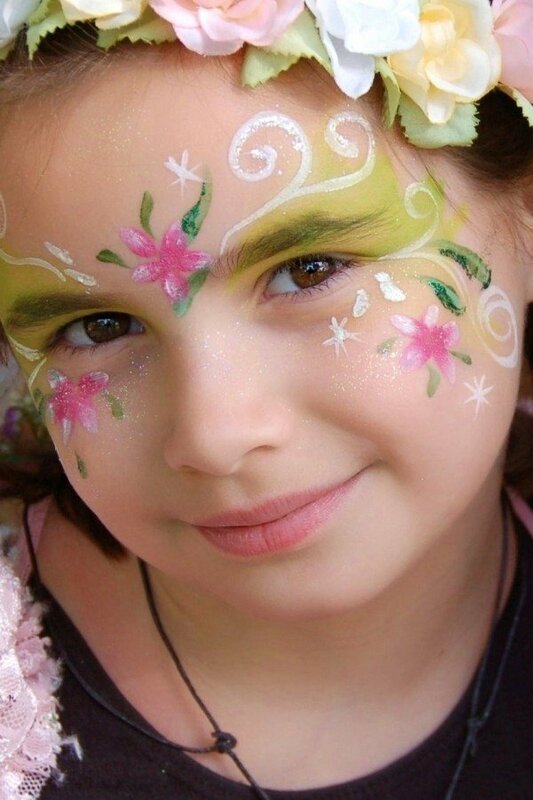 Being a princess is a dream and some easy face painting ideas and tutorials will help you make the dream come true. 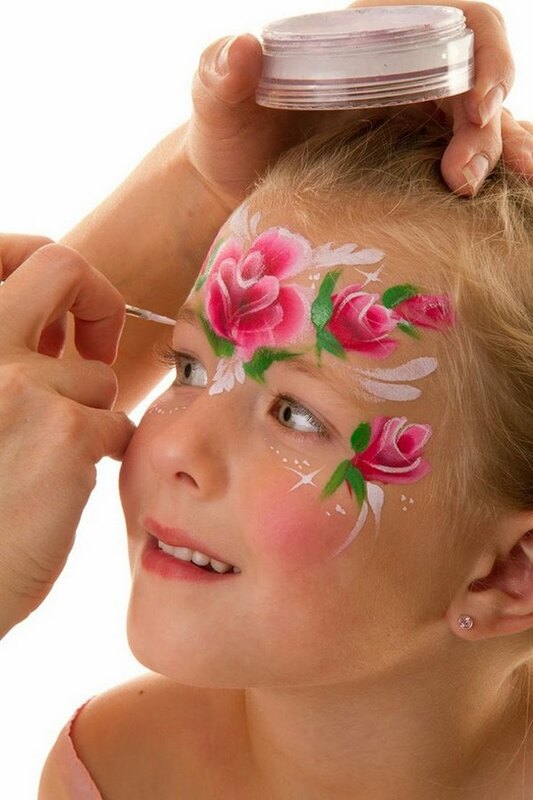 You do not have to wait until Halloween or some other special holiday, you can create a special holiday for your little princess every weekend while you are learning to use face paints. 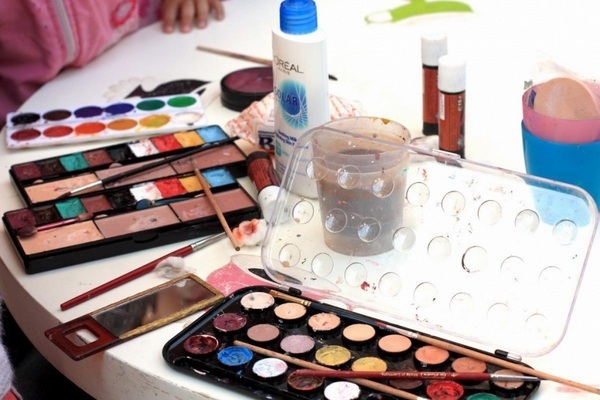 A princess makeup requires different colors, a number of brushes and rhinestones or other decorations. 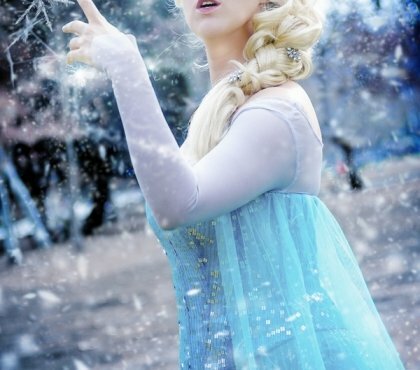 Choose blue and white if the favorite princess of your girl is Elsa from Frozen. Make sure you have some glitter as well. 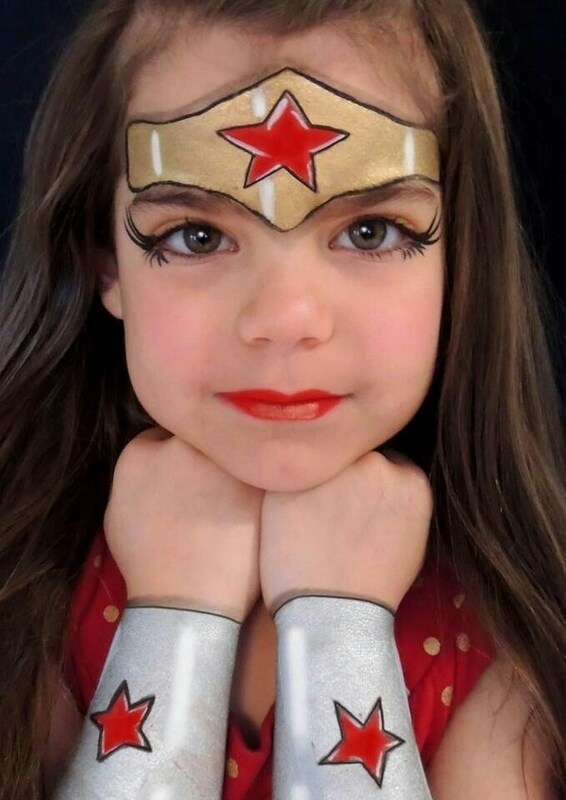 You can draw a tiara on the forehead of your girl, for example. 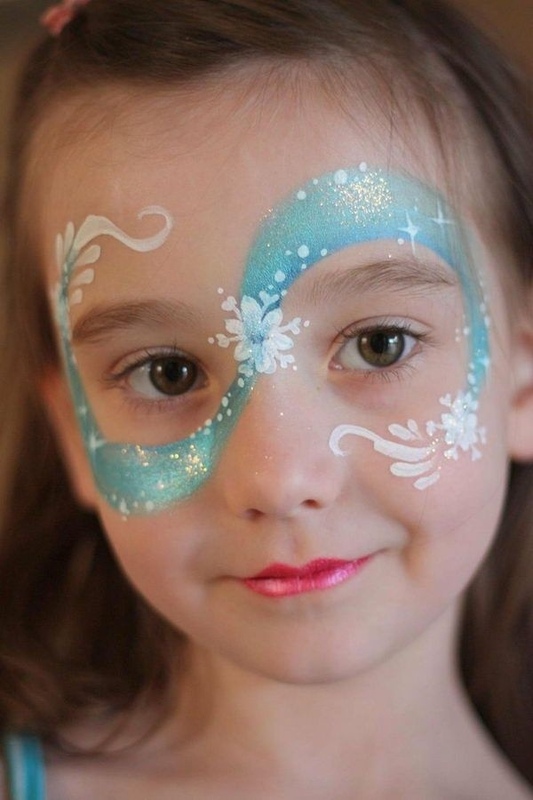 Stars, beautiful swirls and patterns are also a good idea when you create a princess. 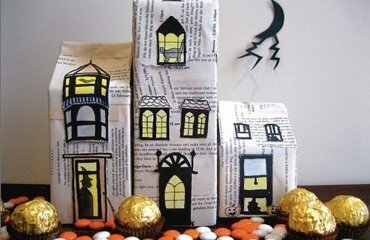 Use your imagination and be creative! 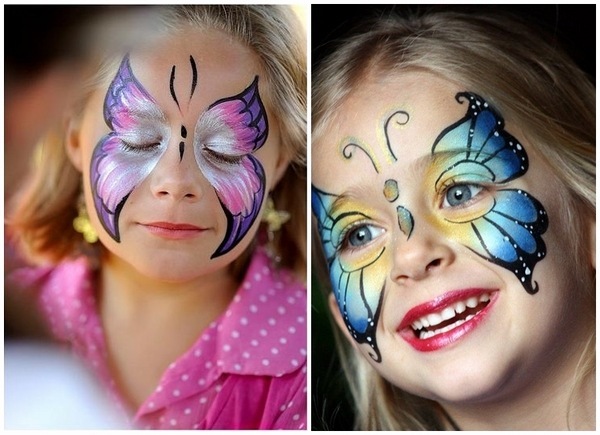 Easy face painting ideas – how to draw a butterfly? 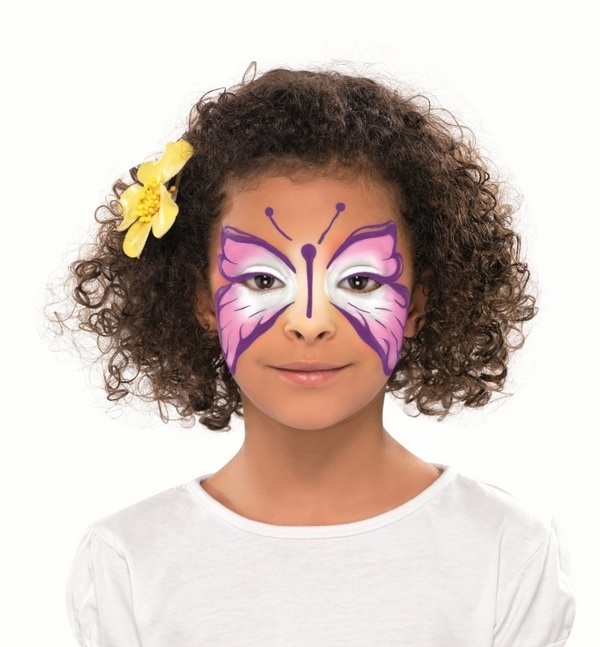 After princesses, butterflies are the next most popular theme for girls. 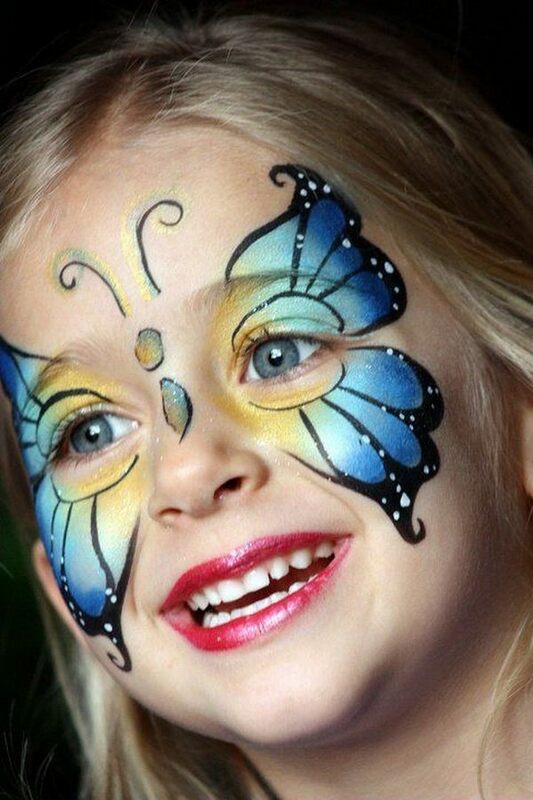 There are different ways to draw a beautiful butterfly on a child’s face. 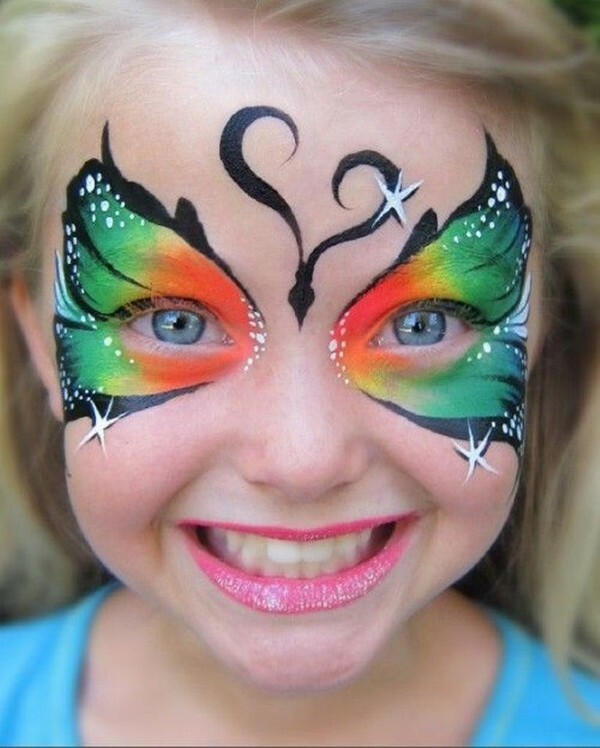 Butterflies are light and beautiful and you can draw one on the whole face, on the forehead and eyes or on one cheek. 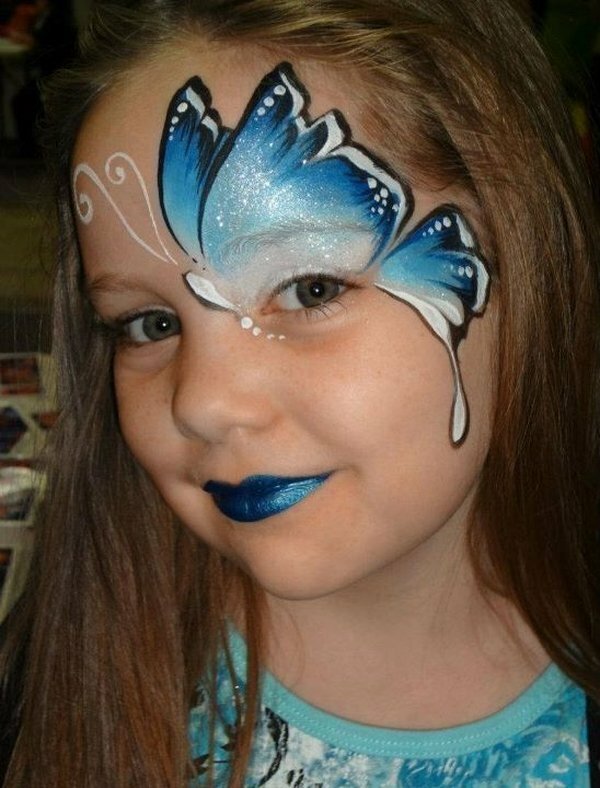 Butterflies can be painted in any color, so it is better to ask the girls what their favorite color is. 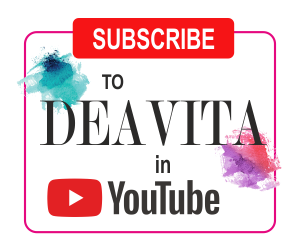 After that you will need a paint brush, sponge and a bit of inspiration. As a base color you can choose any bright, vivid and cheerful color – yellow, blue, pink, orange, but you will also need some black for the body and the antennae. Start by drawing the contour of the wings of a butterfly and then paint them in the selected color. 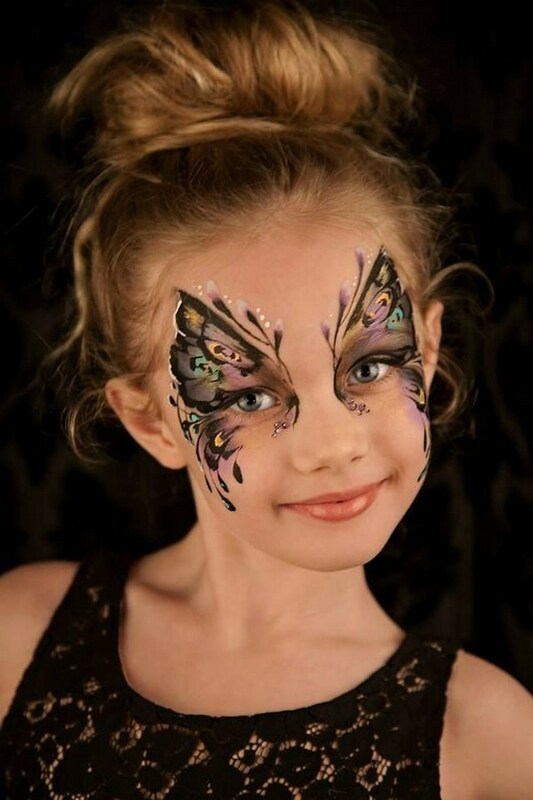 Add glitter and you will have the prettiest of butterflies! 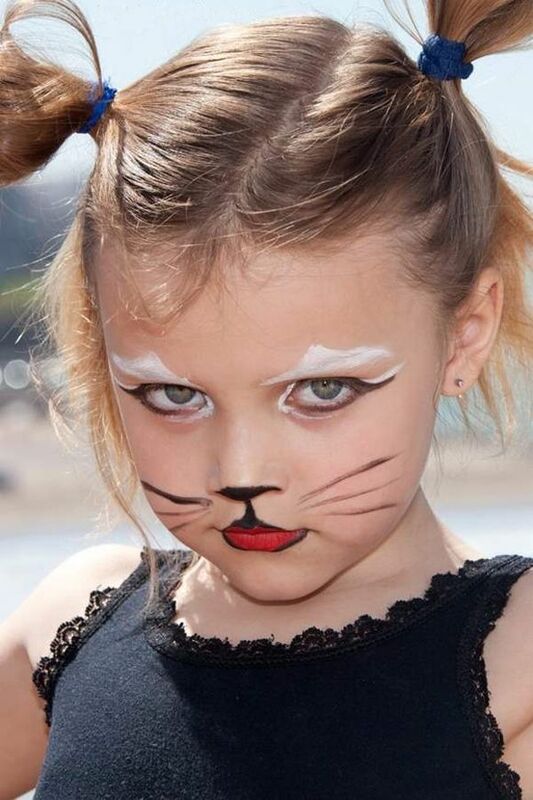 Easy face painting ideas – how to draw a cat? 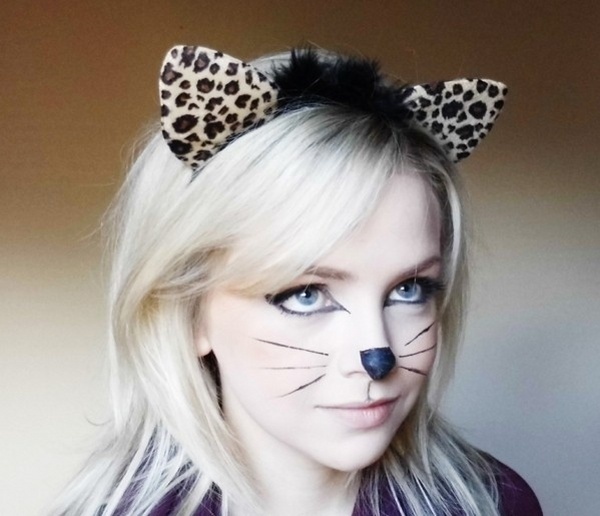 How about some really easy face painting ideas for beginners – cats! Cats are one of the easiest things to draw, especially if you are not very skilled. Those who are gifted with artistic talent can choose complex patterns but the rest of us can start with the basics. Cats can be black, white, even pink – who said that a cat cannot be blue? 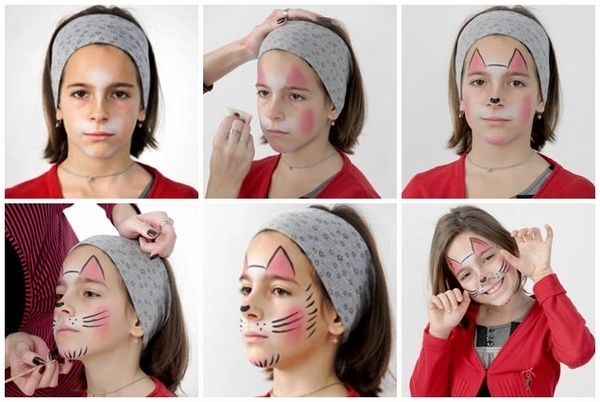 Here is one very easy tutorial how to draw a cute cat using face paints. 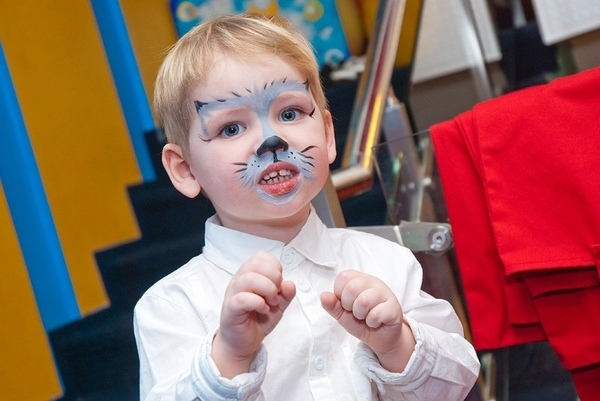 You should start with a basic color and then outline the cat’s nose, ears and moustache with the help of a sponge and a brush. If you are drawing the Hello Kitty, do not forget the bow! 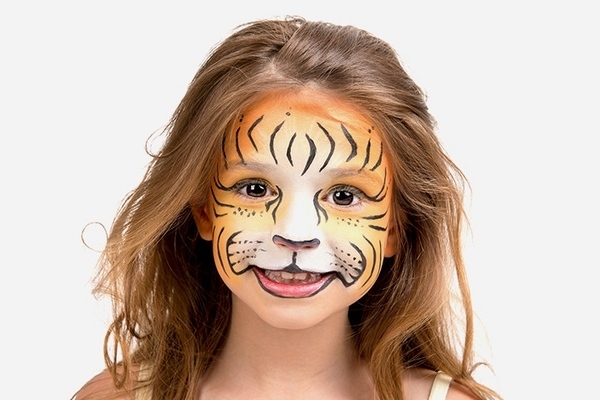 Easy face painting ideas – how to draw a tiger? 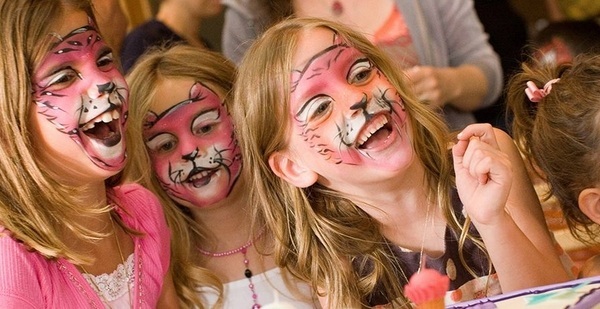 Drawing a tiger can be a real treat for both boys and girls. 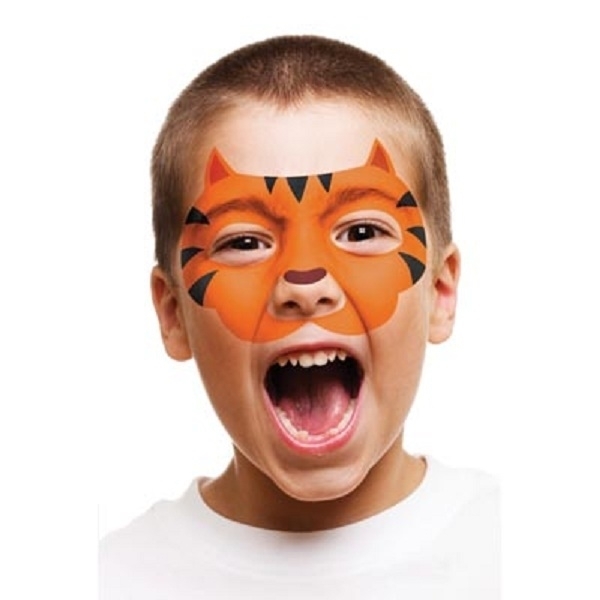 You will need black, white and orange face paint colors. Use a sponge to apply the orange base on the forehead, nose, chin and cheeks. 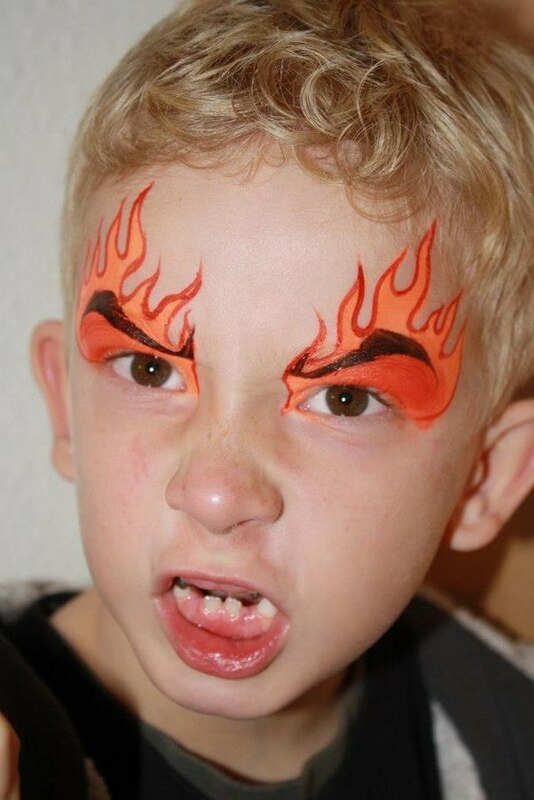 Now you need to draw fur on the eyebrows, cheeks, chin. 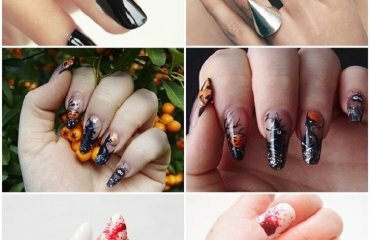 Use a brush and make strokes without pressing. 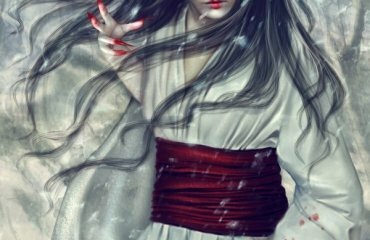 If you want to make the fur less monotonous, add some white “hairs”. 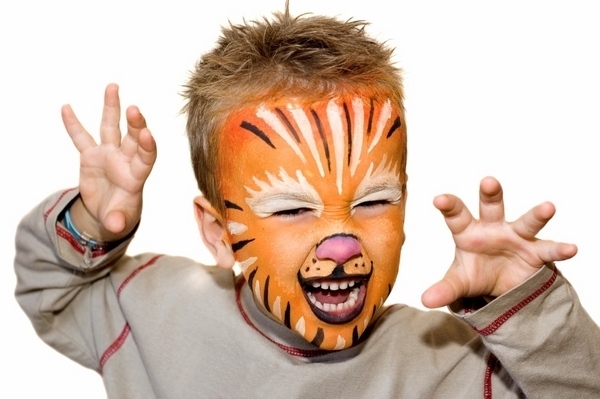 Make sure that your little tiger is sweet and cute. You do not have to be realistic. 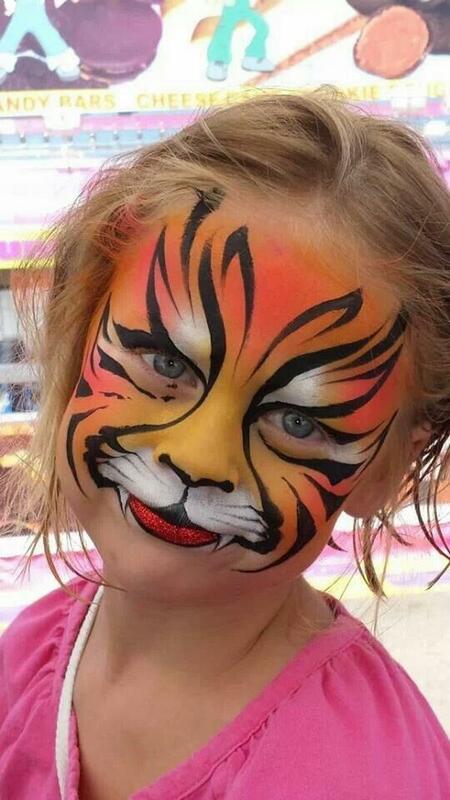 You can make a really simple tiger face painting just on the eyes and nose. 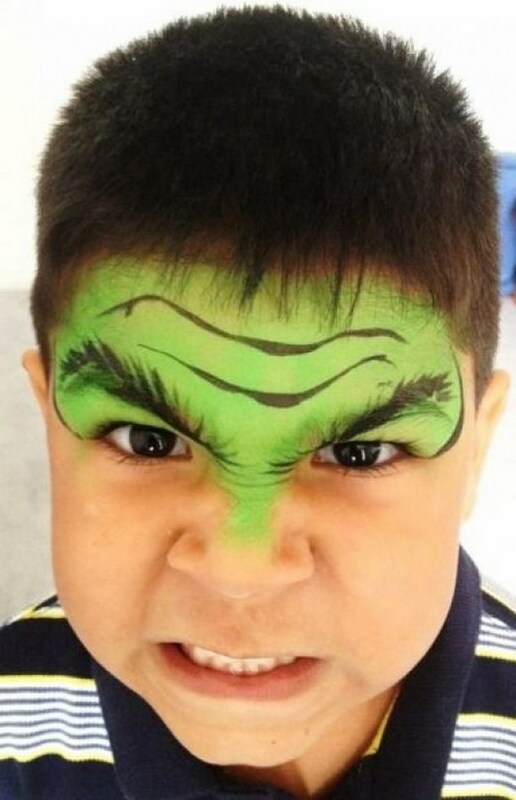 These are just some of the numerous easy face painting ideas for kids. The gallery below will give you more inspiration, so take your time and enjoy!